Test your limits as you Skydive out of a helicopter and free fall for over 60 seconds reaching speeds of up to 160 MPH. 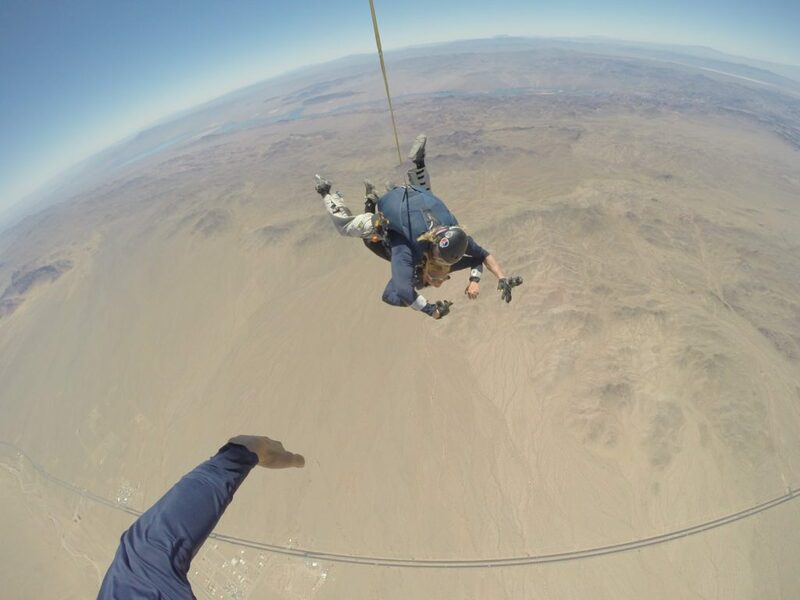 Experience the most thrilling and unique adventure available no where else in Las Vegas! Test your limits as you Skydive out of a helicopter and free fall for over 60 seconds reaching speeds of up to 160 MPH. 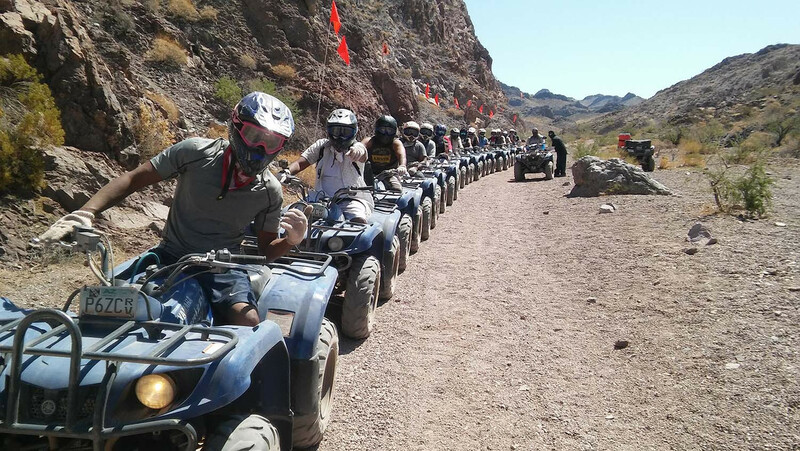 Continue the excitement as you ride through Lake Mead National Park to the Colorado River on the only Scenic Motorized ATV Tour. 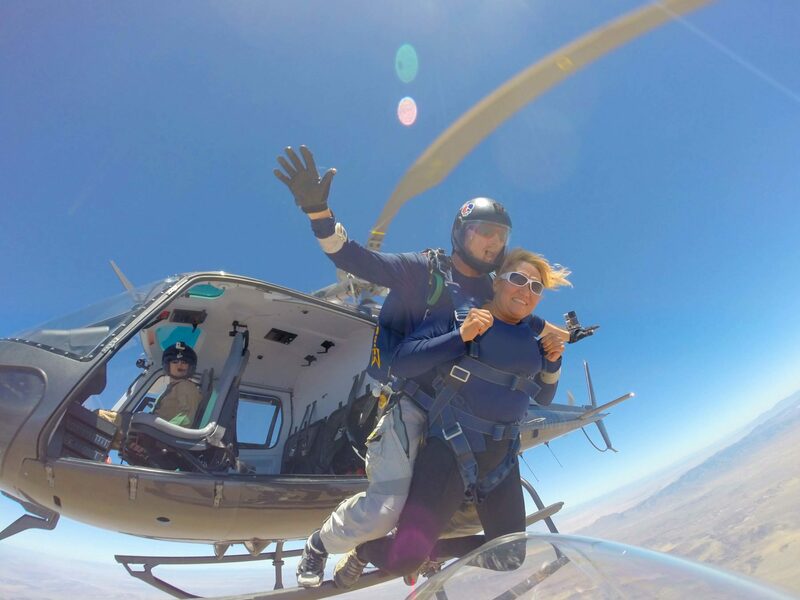 Your Skydive Adventure begins with complementary pick up from you Las Vegas Strip hotel by one of our master Tour Guides. You will tour through the Scenic Mojave Desert to the Hoover Dam Bridge for a 15-minute photo and video opportunity. Live guided commentary will be provided about the history of Las Vegas, Hoover Dam, and surrounding areas. Upon arrival suit up and get ready for the most incredible experience of your life! Take off and climb nearly 15,000 feet into the earths atmosphere. Now it’s time to jump and fly through the sky as you reach speeds up to 160 MPH. 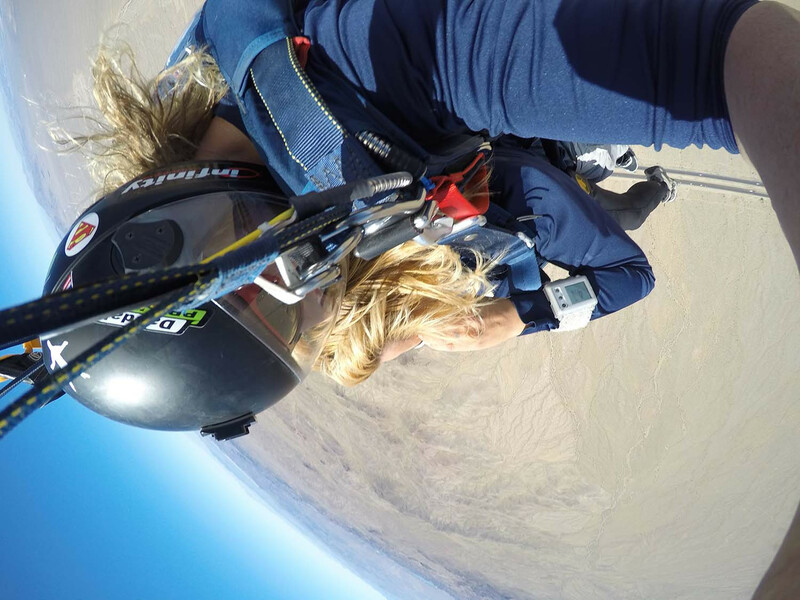 Experience the best adrenaline rush of your life as you free fall for nearly 60 seconds to the earth. Don’t forget to take in the incredible views of the Colorado River and Lake Mead National Park. Touch down after your life changing jump for your next experience. 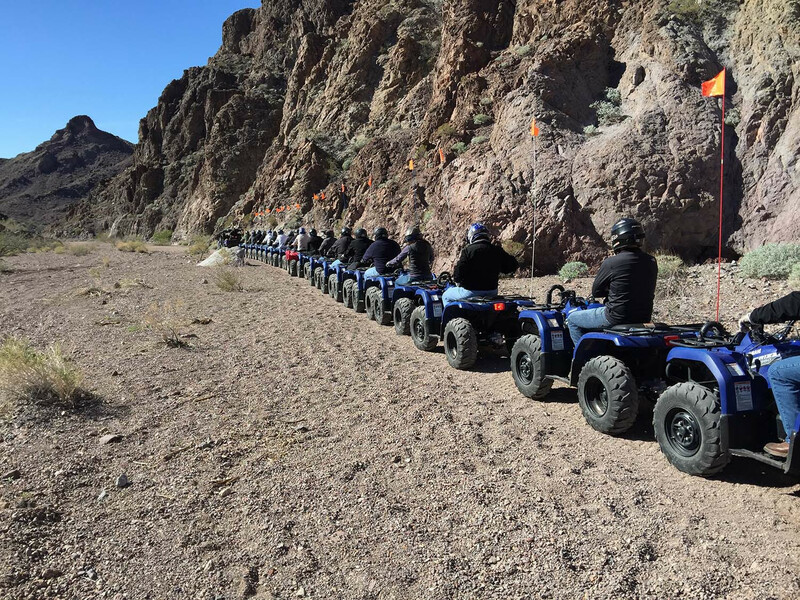 You will then arrive to the staging area located in Lake Mead National Park for your once in a lifetime Scenic Motorized ATV Tour to the Colorado River. 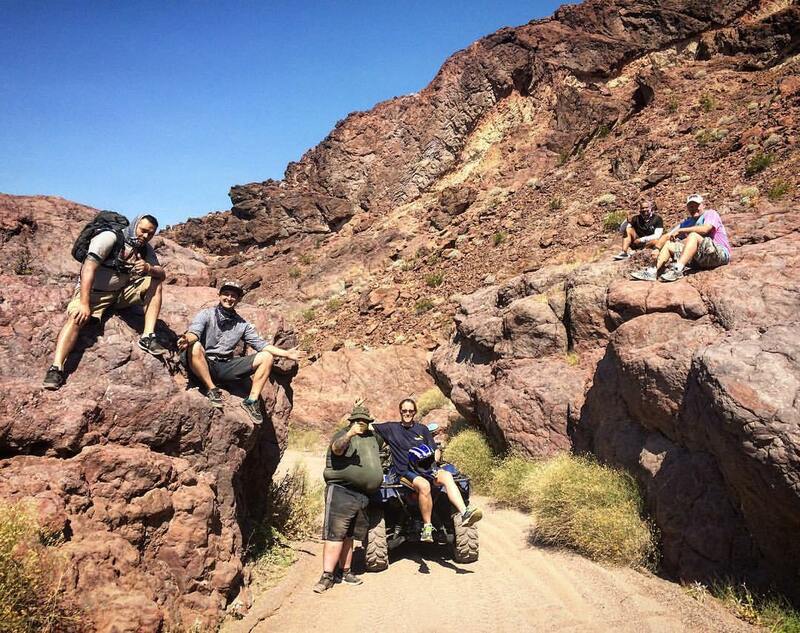 Ride down 22 miles of natural forming trails while absorbing the sights of a majestic desert landscape, plant, and wildlife. At the halfway point you have the opportunity to go swimming in the Colorado River. After a cool and refreshing swim head back down the trails of Lake Mead National Park as you soak in the sights one last time. After an action packed day relax at our onsite restaurant and bar where we will serve you lunch. We will grill you up our World Famous Burger, Fries, and a Soda. Your tour guide will drive you back to Las Vegas with unforgettable memories that will last a lifetime. 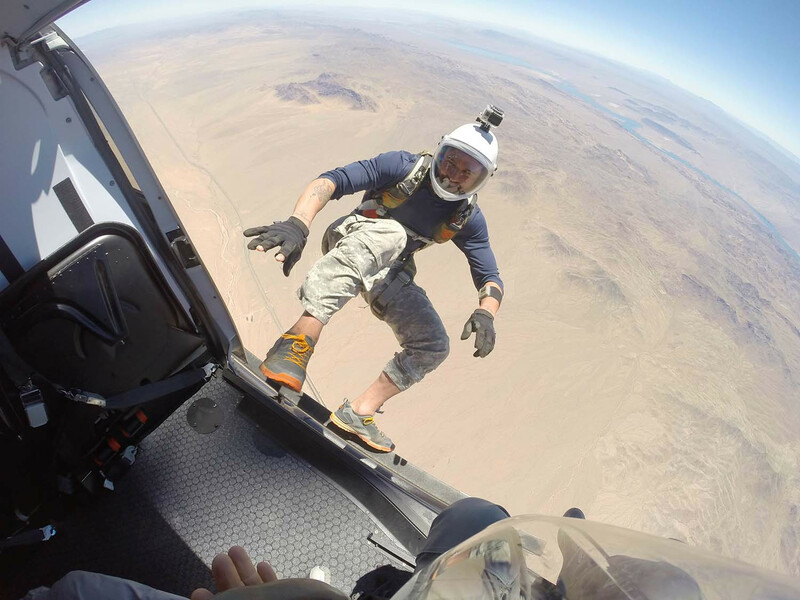 This adventure can be combine with our Outdoor Machine Gun Shooting Adventure or Grand Canyon Helicopter Tour for the Ultimate All-Day Outdoor Adventure.